This is a half or full day tour passing through plantations, private gardens and rich forest. 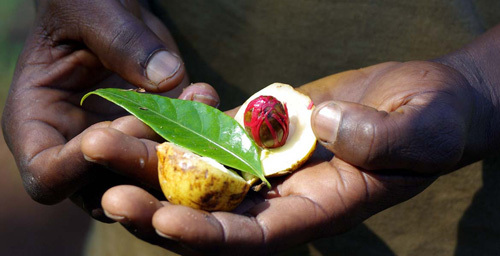 The guided tour will show you many farms with cloves, nutmeg, cinnamon, pepper and saffron amongst fifty other spices and organically grown medicinal herbs. Along the way lies the old Sultan Rest house, an ancient house built in 1850 for Princess Shehzard by her husband Seyyid Said bin Sultan. 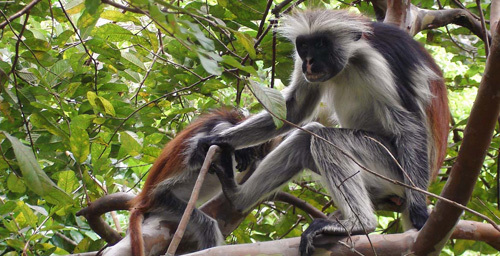 The Jozani Forest is home to the Red Colobus monkey, a rare species found only in Zanzibar. These monkeys are full of character, and roam freely. Jozani is also home to other species including Sykes’ monkeys, buck, chameleon and bush pigs. The elusive Zanzibar leopard is said to feed here at night! Jozani has an excellent nature trail with well trained and informative guides. 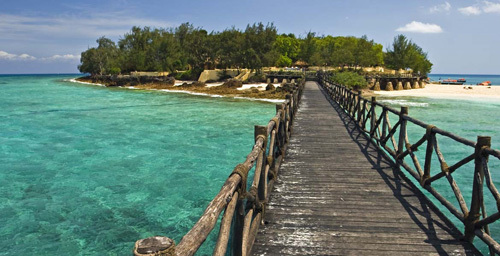 This walk through impressive flora and fauna is one of Zanzibars highlights. The best way to get to know Stonetown is to walk through its’ charismatic streets. Navigate through the narrow alleys of this unique preservation of ancient architecture with one of our friendly guides. Attractions include the House of Wonder, the Palace Museum of 1828, and the 16th century Arab Fort. 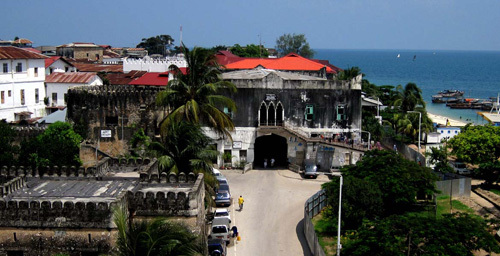 See the caves where slaves were kept until they were taken to Zanzibar Town or Oman. 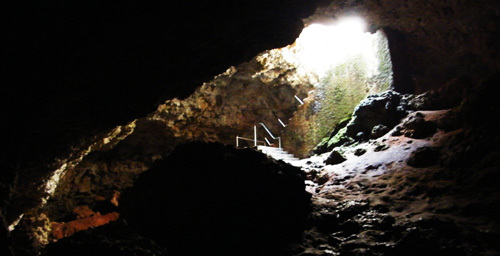 Today, the cave itself remains, although the wooden roof under which the slaves were hidden has now gone. Historically , the island was used as point of concealment of slaves, although later became a temporary hospital and quarantine island especially during the outbreak of contagious diseases in the last century. 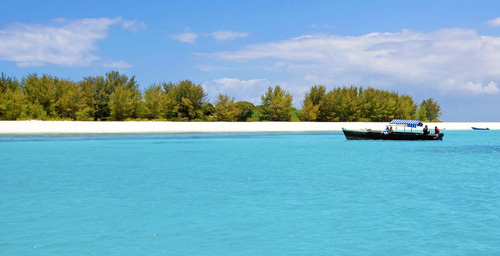 A half day excursion on a traditional dhow on the clean and clear waters of the Snake and Bawe islets. All fishing equipments & bait are provided. 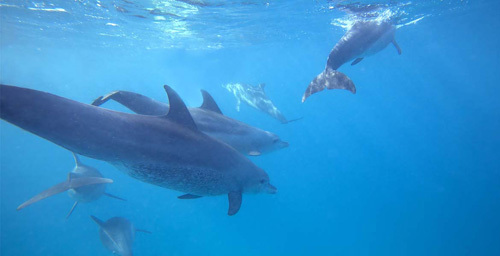 Enjoy a wonderful adventure snorkeling with the local Zanzibari dolphins. You will often come within touching distance of both spinner bottle nose dolphins and blue dolphins. A full day out at the North end of Zanzibar with a wide range of things to see from Copra making to Mkokotoni village fish auction. 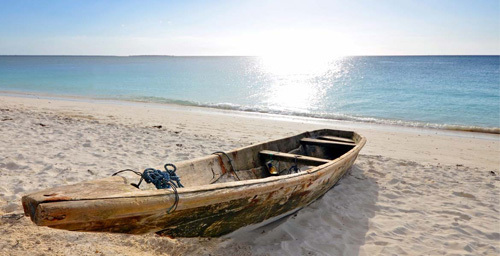 See traditional dhow building, and visit the marvellous Nungwi beach. 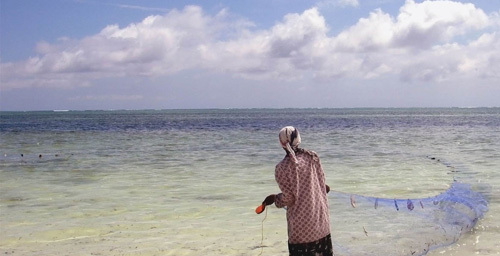 Enjoy a full day of many local activities including seeing thatching baskets being made, weaving, pottery, coconut rope making, coconut palm climbing and traditional music and songs from the local Zanzibari. 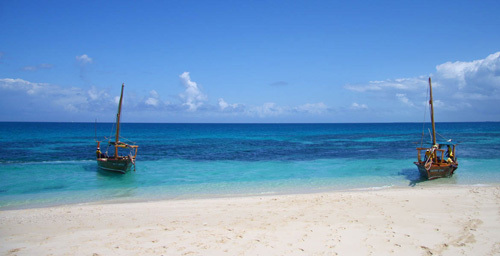 A full day of snorkelling with instructors, guides and ice-cold drinks available. See the sandbanks, islands and coral reefs of Menai bay, a beautiful conservation area.